It has never been easier to save with Tobermory vacation packages on Expedia. You'll have heaps more time to work out the exciting stuff — and more cash to splash! With more than 400 partner airlines and 321,000 properties to pick from on our international database, you won't have any trouble crafting your perfect vacation. We've got all the red hot sightseeing tips for your trip to Tobermory. Grab your travel planner and get ready to start working on that itinerary. Venturing out on the fairways is a fantastic way to stretch your legs and have a blast. Test your skills with a friendly round at Cornerstone Golf Club. Visitors in this destination have a great range of options. Whether you choose to dash across it, jump into it or discover what's below it, few things are as enjoyable as a day spend around the water. Add some wonderful aquatic adventures to your journey at Divers Den. Still got some time to spare? Time spent amongst nature is proven to lift both your emotional and physical state of being. Spend time at Bruce Peninsula National Park and experience the rewards of connecting with our natural world. If you're seeking luxury getaways or cheap vacations in Tobermory, don't forget to book a place to stay in advance. There are only 6 Expedia properties currently on offer. If you're on the lookout for accommodations with good reviews and snuggly beds, you can't go past the Tobermory Resort, Inn & Suites (122 Bay Street) and the Mikinaak Cottage & Cabin Rentals (7381 hwy # 6). Located 45 miles (72 km) away, Manitoulin East Municipal Airport (YEM) is the closest terminal to your destination. Buckle your seat belt and turn off that in-flight film — your well-deserved trip to Tobermory is just about to begin! 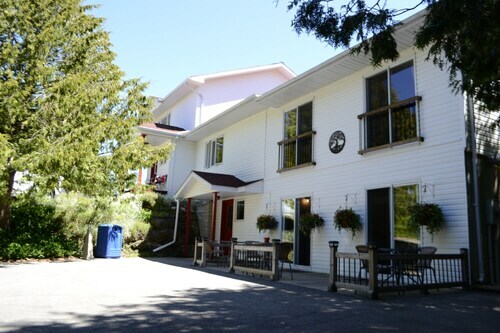 Situated in Tobermory, this motel is within 2 mi (3 km) of Bruce Peninsula, Cornerstone Golf Club, and Big Tub Lighthouse. Bruce Peninsula National Park is 12.3 mi (19.8 km) away. 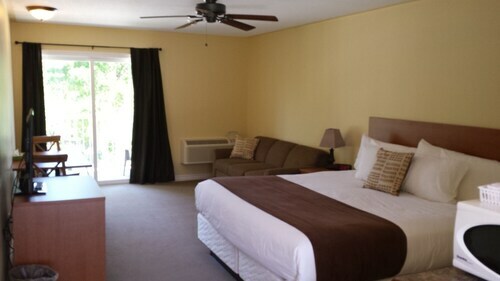 Situated in Tobermory, this hotel is 0.1 mi (0.1 km) from Bruce Peninsula and 1.9 mi (3.1 km) from Cornerstone Golf Club. Big Tub Lighthouse is 3.7 mi (5.9 km) away. 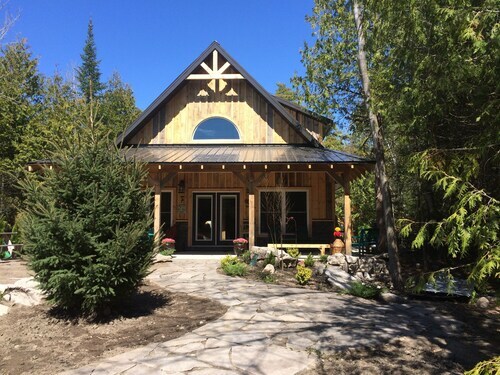 This Tobermory bed & breakfast is on the beach, 0.1 mi (0.1 km) from Bruce Peninsula, and within 9 mi (15 km) of Cornerstone Golf Club and Big Tub Lighthouse. 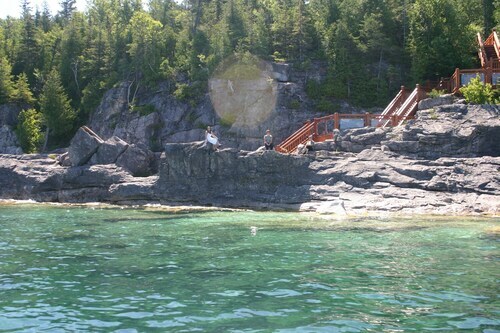 Bruce Peninsula National Park and Dyer's Bay Beach are also within 25 mi (40 km). 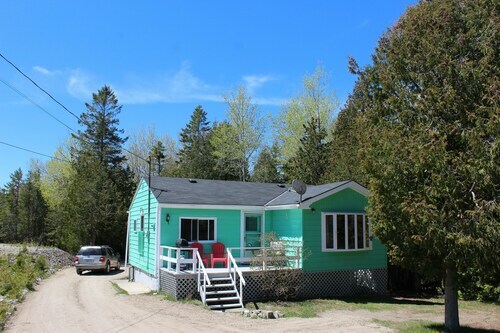 Situated in Tobermory, this cabin is within 3 mi (5 km) of Bruce Peninsula, Cornerstone Golf Club, and Big Tub Lighthouse. Bruce Peninsula National Park is 11.9 mi (19.2 km) away. 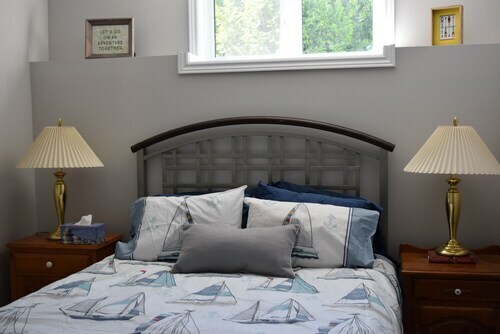 Situated in Tobermory, this bed & breakfast is within 1 mi (2 km) of Big Tub Lighthouse and Bruce Peninsula. Cornerstone Golf Club is 2.1 mi (3.3 km) away. 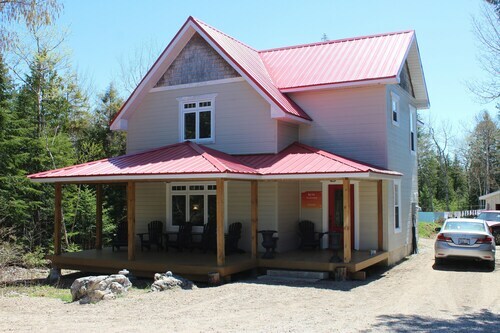 Situated in Tobermory, this guesthouse is within 1 mi (2 km) of Big Tub Lighthouse and Bruce Peninsula. Cornerstone Golf Club is 2.2 mi (3.5 km) away. 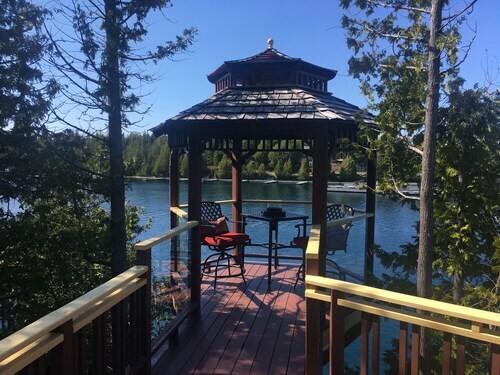 Located in the heart of Tobermory, this bed & breakfast is 2.2 mi (3.5 km) from Cornerstone Golf Club and 2.3 mi (3.7 km) from Big Tub Lighthouse. Bruce Peninsula National Park is 12.9 mi (20.7 km) away. Situated on the Strip, this guesthouse is 0.1 mi (0.1 km) from Bruce Peninsula and 1.6 mi (2.7 km) from Big Tub Lighthouse. Bruce Peninsula National Park is 12.3 mi (19.7 km) away.